Credit: NASA/GSFC. Download this image (JPG, 4.1 MB). 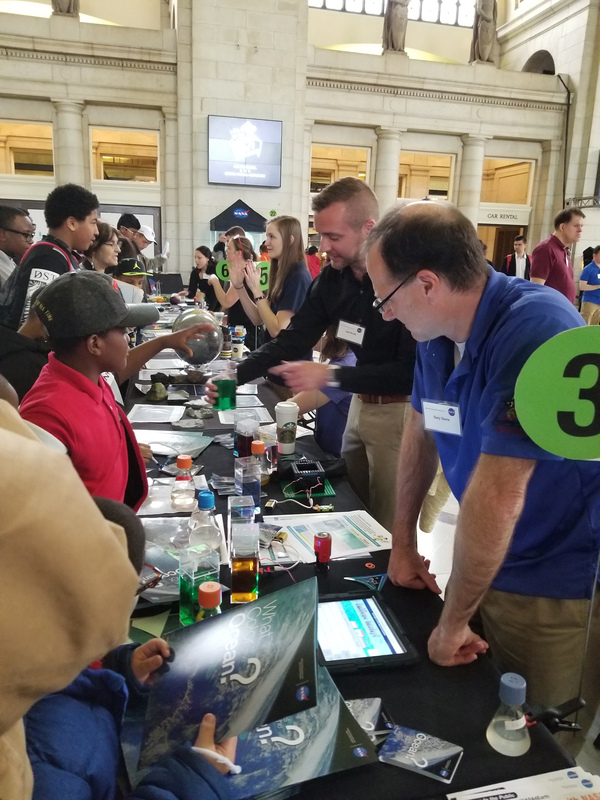 [19-Apr-18] Visitors at the NASA Earth Day Celebration at Union Station (Washington D.C.) check out water with different optical properties. Understanding how phytoplankton affect ocean color is key for differentiating harmful blooms from helpful ones. Through a variety of activities, participants learned about ocean color and what PACE will be able to see from orbit. The full version of the spectrometry activity can be found in the "What Color is The Ocean" brochure found here.